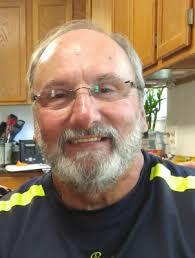 Sherican Historical Society, Inc. - Biographies - Curnes, Jimmy E.
Jimmy Edward Curnes, 73, was born on October 3, 1942. He was the son of Ray W. Curnes and Goldie Curnes (nee Spurlock). He passed away unexpectedly on Tuesday, July 12, 2016 in Wheeling, West Virginia. He was the Assistant City Manager of Wheeling before moving to Colorado. While in Colorado he was an Assistant City Manager of Englewood and then City Administrator for Sheridan. Jimmy was the Sheridan City Administrator from October 26, 1982 - April 25, 1989. While at Sheridan, Jimmy promoted bringing Elitches to Sheridan. The proposed site was adjacent to the Platte River (east side) and south of Oxford Avenue. Jimmy was a tremendous promoter of Sheridan economic development. While, not successful with the Elitches effort, it did prompt the City of Denver to move on the relocation of Elitches to lower downtown next to the Platte River. Jimmy was a kayaking enthusiast and promoted safety improvements of the Platte River as it flowed through the City of Sheridan. Some of that effort can now be seen in the River Run Park in Sheridan. The park is located at Platte River just north of Oxford Avenue. In 1966 Jimmy Curnes along with John Davidson of Carlisle, Pennsylvania., paddled on a transcontinental kayak trip. The trip started in Astoria, Oregon and ended in Washington D.C. The two Air Force veterans had plotted their kayak journey while in the service in Germany. Jimmy was instrumental in bringing Pace Warehouse to Sheridan. That would change Sheridan in a significant way. It would also lead to the construction of the new Sheridan Municipal Center (city hall) in 1987. Jimmy's name is listed in one of the building's cornerstones. Jimmy returned to Wheeling and was the City Manager from 1990 - 1998. After leaving Wheeling city government, Curnes worked at Wheeling Hospital as the Safety and Compliance officer. Later in his retirement, he delivered prescriptions for Elm Grove Pharmacy. Besides kayaking, Jimmy also enjoyed biking, golfing and skiing. Jimmy is survived by his wife, Susan Curnes (nee Prager); three daughters, Erika Klarr of Martins Ferry, Ohio; Erin (Patrick) Jones of Centerville, Va.; and Kristin (Pat) Doyle of Wheeling. All of Jimmy's children attended Sheridan schools.